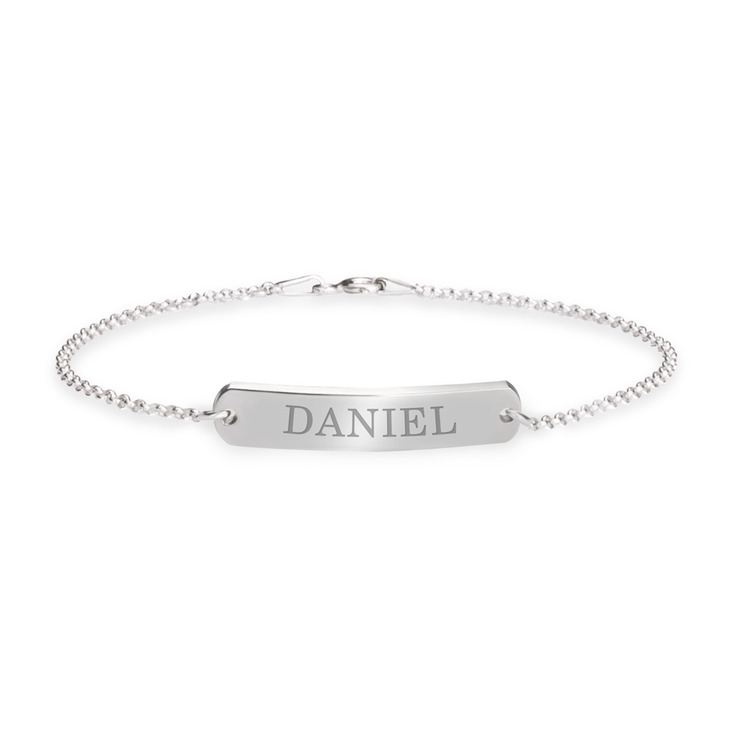 Whether you engrave this with your own name, your significant other's, or with an empowering message, our Dainty Bar Name Bracelet is truly an unforgettable piece. 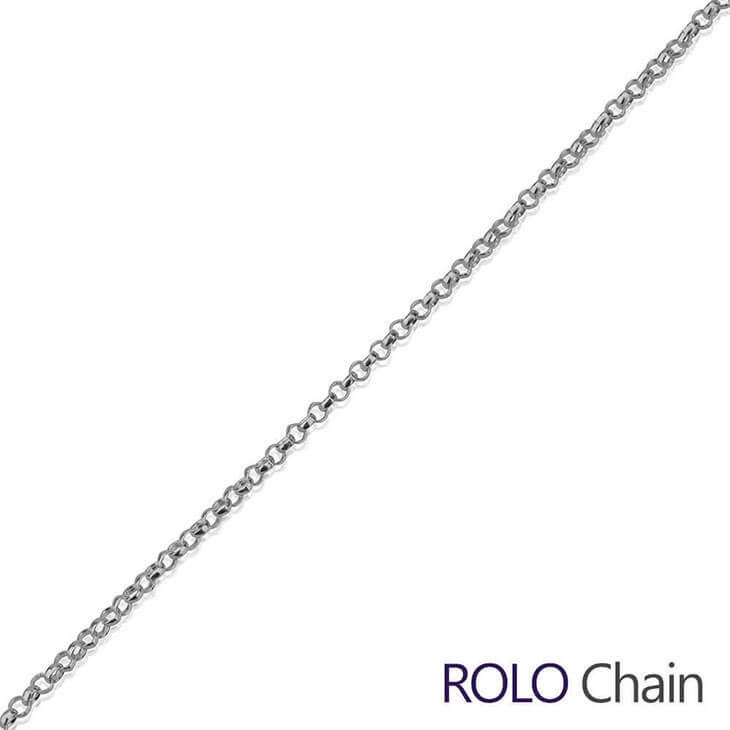 The perfect matching accessory if you've already got a bar necklace, this engraved name bar bracelet will allow your personality to shine through. 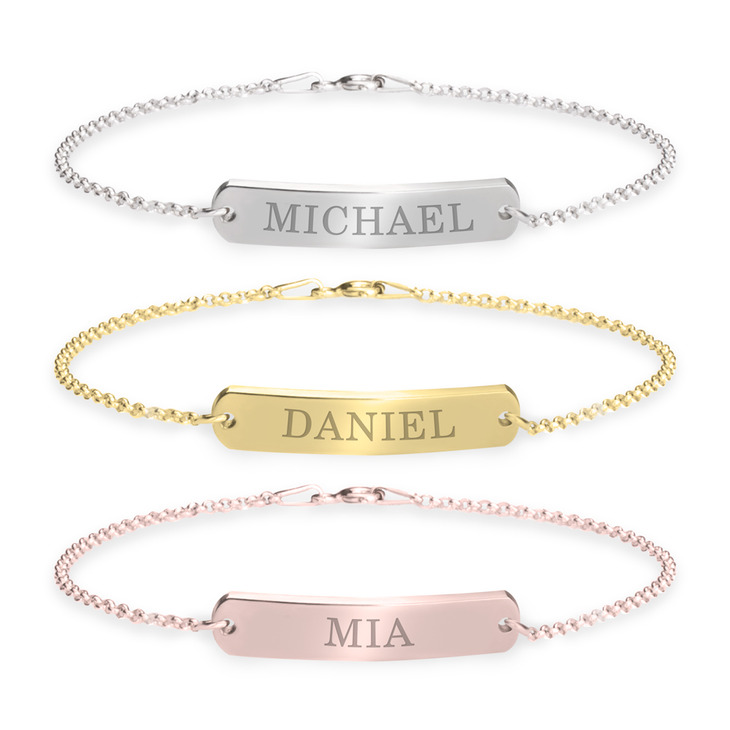 Made in a selection of rose gold, 24k gold, or sterling silver, your personalised message will be custom engraved on this durable yet dainty bar design, the perfect way to accent any outfit and express the real you. 27mm x 5.5mm / 1.1" x 0.2"